My malm started a blog! 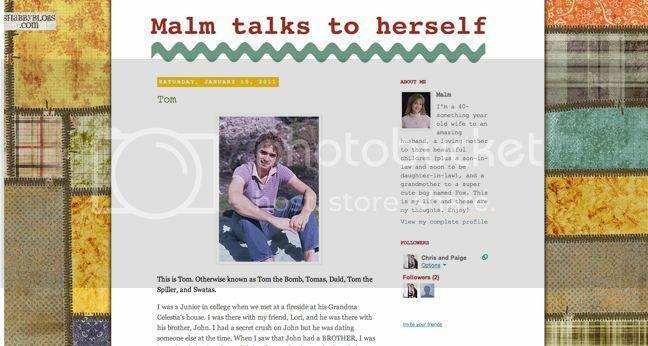 (Make sure to read her very first post to find out exactly why we call her "Malm"). She wants me to make sure to let you know she's just a beginner :) It's called Malm Talks to Herself. Her blog is super cute if I do say so myself :) Check it out, follow her, she's an amazing woman!